The Holiday Choir will perform on Sunday, December 16 during both services at 9:00 & 10:30 am. 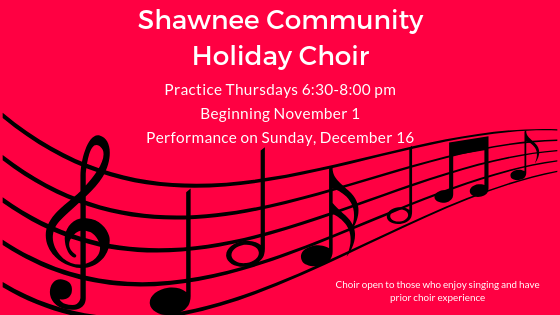 Practice begins Thursday, November 1 from 6:30-8:00 pm at Shawnee Community. Please email Ronette Hoard, music ministry director, if you would like to participate.